Typically many of us will opt to take a scaled down acoustic on our travels, but for some, the need to plug and play is just too much, fortunately, many companies have cottoned on to what we want, so today we are reviewing the 10 best travel electric guitars in 2019.
Who hasn't been camping and craved their six-string companion? Who doesn't want to risk hauling their high-end guitar around for the weekend? A travel electric guitar is a sensible solution that won't set you back too much thanks to a saturated competitive market. 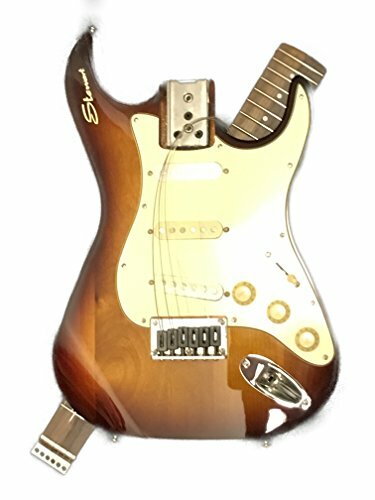 What is a travel electric guitar? Can I take an electric travel guitar on a plane? Electric travel guitars are a relatively new trend, though many manufacturers have been marketing ¾ scale or junior models for years. 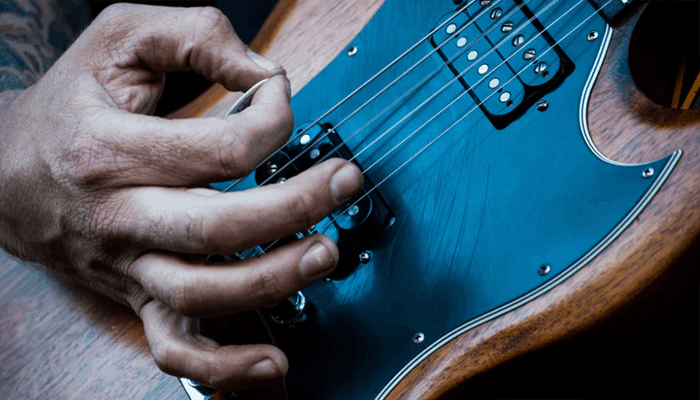 A smaller model, in general, is a quick fix solution but many guitarists can feel clumsy on a smaller sale fingerboard that doesn't allow for fine flourishes. Some companies are a little more on the current than others and are developing some rather genius ways to reduce the size of the guitar without reducing its neck or fret presence. There are a host of different travel guitars that provide the vital portability required for rocking out on a road-trip each boasting superiority over the next, or under-cutting one another for prime position on the best -sellers list. With so many to choose from it can quickly become a tough market to navigate, and often its not clear exactly what each model offers over its competitor. To help make your shopping a little less taxing we are going to compare ten worthy candidates for best travel electric guitars and answer your recent inquiries in our buyers guide section. Incredibly compact size for transit. Regular guitar with an assemble yourself attitude. First up we have a full-scale electric guitar model which has a completely removable bolt-on neck. It is a little smaller than a Stratocaster, exceptionally well built but a little pricey. It comes apart with ease and the strings stay attached to the tuning machinery. They neatly hang over the cutaway wings (or horns) of the Strat-like body contours. You then place the neck behind the body at a diagonal angle, so that the whole instrument has a footprint no larger in dimension than the body itself. Obviously, this is going to mean some fumbling with assembly when you travel to and from places, but the designers have found a way around size issue without compromising on the scale of the instrument, which is neat. + Incredibly compact size for transit. + Forward thinking design concept. + Regular guitar with an assemble yourself attitude. Why We Liked It - It is a rather unusual solution, which undoubtedly impacts the footprint of the instrument, nearly halving it altogether. Now for a compact light-weight ¾ sized full-scale solid-body guitar. The body shape has been more than halved on this travel guitar, it is shaped sort of like an oar it has two cut outs either side of where the neck meets which house the in-body tuning hardware. This innovative placement eliminates the space required for a traditional headstock. It has a detachable lap rest which makes playing it a little easier. It weighs 68% lighter than most full-size electric guitars and is 28% shorter. Its unique design and non-typical dimensions mean it needs a tailored carry-case which they have fortunately included in the price. Why We Liked It - Its a stylish little travel companion and super lightweight, it holds great intonation and plays well. Another model from traveler which also features their proprietary tune-o-Matic in-body tuning methods is their Speedster V2. It again features a tiny solid body, but this time incorporates a detachable upper armrest to support your strumming hand, it removes to further reduce the footprint of the instrument for traveling around. It has a one-piece neck-through design crafted from Easter American hard maple. It offers sonic versatility and features a meaty humbucking pick-up with a coil-split for awesome distortion. It is a little heavier than the Ultra-Light model but still around 58% lighter than the average full-size electric guitar. It also has an auxiliary output for headphone listening and silent practice, ideal for traveling from hotel to hotel without noise complaints. Why We Liked It - Some of the more radically redesigned solid body travel options just feel too unfamiliar to play for some, the detachable rest brings back the added comfort a full size contoured body gives a guitarist. Next up we have another superb scaled down model its ¾ length is what makes it most suited to being a good traveling option. 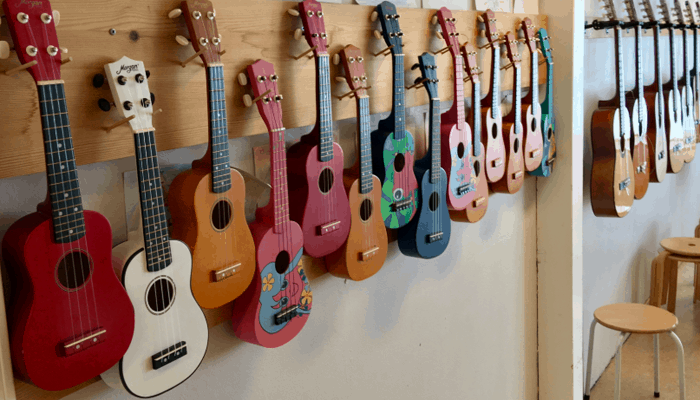 It has a typical ¾ sized body, so there is no loss in the natural acoustics of the instrument, it is a little streamlined to help with shedding little weight. It is competitively priced and durably built. It features the familiar contours of a Les Paul and is decked out in a gorgeous cherry sunburst color design that is as appealing as its price-tag. It really is a miniature guitar in appearance but plays mightily enough. It harbors 2 humbucking pickups and 3-way switching for tone sculpting your sound to your preference. + Double humbucking pickup for heavier players. Why We Liked It - It is a fab short scale guitar, which for a travel solution is an easy option. It features a familiar form which is comfortable and preferable for many musicians, especially if the unconventional compact models have bodies which don't appeal to you because you find them simply too bizarre. 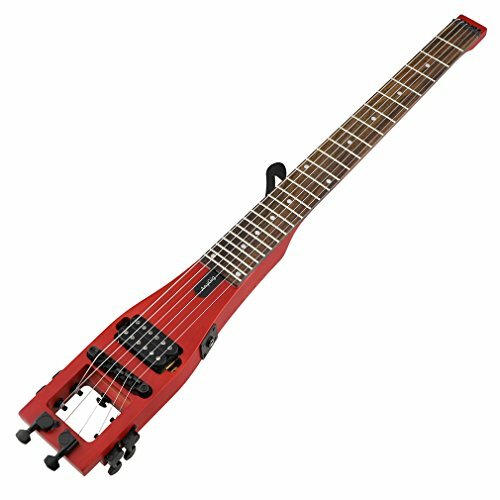 This is one of two Anygig models we are having a nose at, The AGE model is a pretty awesome take on a travel guitar design. It is remarkably compact in the body department and once again has no headstock. The strings are instead tuned via a tune-o-Matic style system in 3 dedicated sets of 2 tuners located around the top, side, and bottom of the minute maple body. The neck is u-shaped and also maple, it supports a rosewood fingerboard with a 400mm radius and a 42mm nut width. 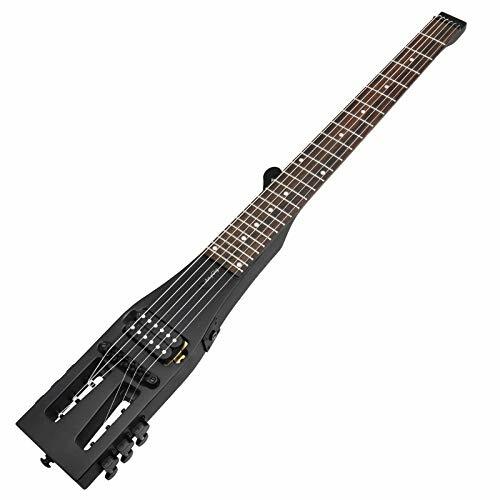 They feature a full 24 frets but are around 75-80% lighter than a full-size electric guitar which is pretty astonishing. They come in a full range of bright colors. It is bestowed with an own brand made in-house Anygig Glow Humbucker pickup which thickens the sound efficiently. The manufacturers have forgone any onboard pre-amp equalization or gain controls to maintain minimum size weight and fabrication costs. Instead, it features a square Les Paul-style output connection. Why We Liked It - It is another very different take on a travel guitar, it is unbelievably small and the manufacturers have included a detachable rest for extra comfort as these atypical instruments take a little getting used to. It is genuinely mind-boggling how much you can cut out and still get a jam-tastic travel worthy instrument, this little guy weighs just 1.4kgs which is practically unbeatable. Back to travelers' dynamic range of travel options, this time for a model that in essence matches all of the specs of the original Ultra-Light model, but has seen some refinements in circuitry as well as a trendy new face-lift. It comes in an array of tasty color options and features the same important factors as its progenitor. It weighs just over 2lbs and sports the same oar-like design shape with a detachable metal leg-rest stand. 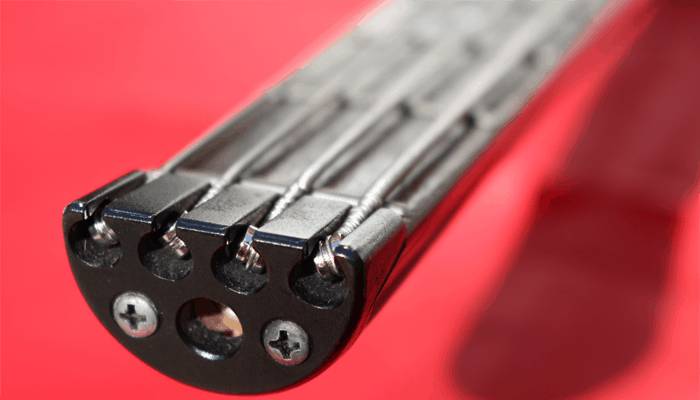 The tuning is once again in-body saving on the space a head-stock can hog, and reducing the length of the instrument to around 30% smaller than most ¾ sized full-scale guitars. It is beautifully machined from solid maple and is a one-piece neck through model like the rest of the gang. It benefits from a black walnut fingerboard. It features an updated piezoelectric pickup for amplification and comes with a gig-bag made especially to fit its curious form. 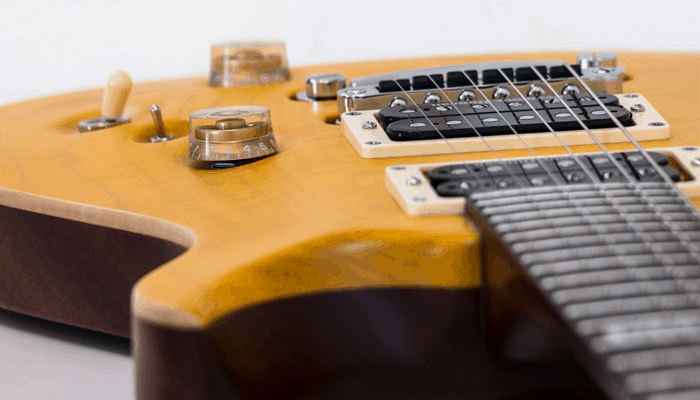 Why We Liked It - Traveler know a thing or two about product innovation and when it comes to a good travel guitar the clue is in the guitar brand name, every aspect of these guys has clearly been designed with traveling in mind from start to finish. Over to an alternative super-compact model from Anygig guitars travel series. The Sing model is actually even smaller the Traveler Ultra-Light designs. It features on-board body-tuners which are located top and bottom of its tiny body. It is ergonomically designed with a handy comfortable detachable arm rest bone. It is a 3-piece u shaped neck design all pieces are solid maple. 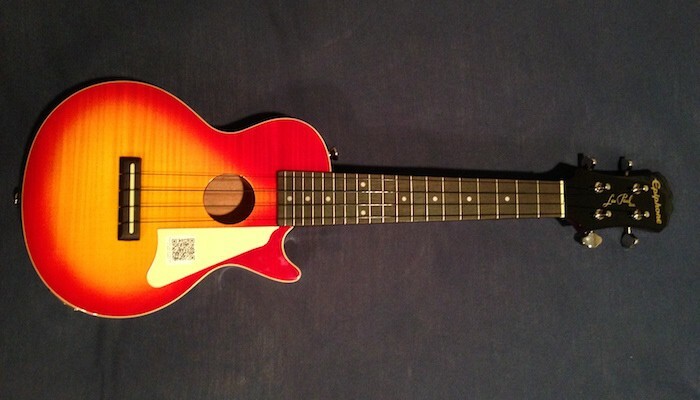 It has great resonance and despite its smaller surface area, plays deceptively well. The company has opted for a sonokelin rosewood fingerboard, it harbors full-scale frets which are dotted for you and it comes with a fully-adjustable carry-bag. The pickup is an open black Humbucker, directly mounted and it features a square output jack similar to a Les Paul. A noteworthy point is it features no pre-amp controls, opting to go without again reduces the size and weight and ultimately the price tag. It has great natural levels to send and you can shape your tone with most decent amps or maybe plug in via a pedal board if you are pickier. Why We Liked It - This tiny travel buddy weighs even less than the Ultra-Light Travelers we have heavily highlighter in this article coming in with a net weight of just 1.5 lbs which is incredible. We like its extrinsic body style, it actually resembles a large head stock and neck in reverse with no body at all. The blackout electric is a traveler guitar model that stays true to a more traditional guitar, its body though smaller, by comparison, emulates that early telecaster look, with a hook cutaways for further fret access. It harbors a proprietary in body tuning system for the same head-stock elimination the smaller lighter models boast. It is definitely on the heavier side but it is a well-built full-size ¾ scale electric guitar with a larger footprint than some of their more unconventional designs. It produces some exceptionally heavy tones as it is decked out with an awesome high gain Humbucker (Seymour Duncan Devastator) in the bridge position. The jack-plate sports auxiliary input connections you can connect mobiles and other devices to jam along to tracks with. + ¾ size electric guitar without a head-stock. + Devastator high gain Humbucker. Okay, so we have sifted through a tonne of Traveler models, but it is fair to say that Hofner is hot on the heels of some of the best-selling travel models on the market. This model is based on the 1980's shorty model and is ideal for traveling players. It is one of our lowest priced options, it just about undercuts all of its competitors and is not far off your typical full-size electric guitar. The body has seen a size reduction in comparison to most Hofner models but it features a full-size neck and headstock. This scaling down of its larger parts means nothing else is compromised in the quest for a guitar that can fit in the overhead of a plane. They come in a range of striking colors this one is an eye-catching Cadillac green. It comes with a gig-bag to handle its humbler proportion. 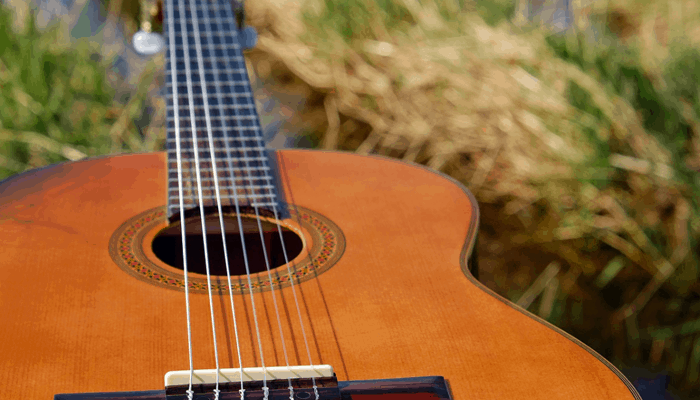 Why We Liked It - It is an affordably priced classic guitar with pleasing aesthetics a good pick-up that is just small enough to become a travel option. We are ending todays review section with another Traveler model, it is as lightweight as the other Ultra-Light models we have listed but instead of an Americana piezoelectric single pick-up it is equipped with a delectable dual-rail humbucking pick-up which certainly packs a bit more of a punch. The rest of the specs don't deviate too heavily from the original conceptual design; it is once again a one-piece solid maple body that houses its tuning hardware within its cut-through bare bones body. It is priced no higher than the other Ultra-Light series models but caters to those of us who like a grittier vibe. + Super compact and lightweight. Why We Liked It - It provides some authentic vintage rock tones and is one of the most lightweight and innovative models on the current market. A travel electric guitar is an electric guitar which has been designed with easy transportation in mind, their design concepts will incorporate features created to tackle the drawbacks traveling can have. 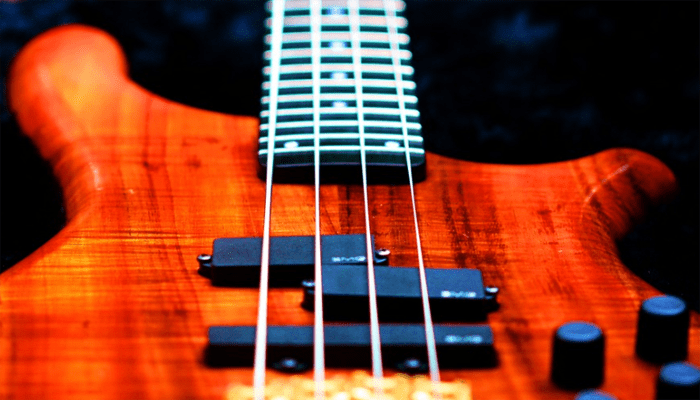 Many guitarists feel like their instrument is an innate part of their personality or even an extension of themselves. 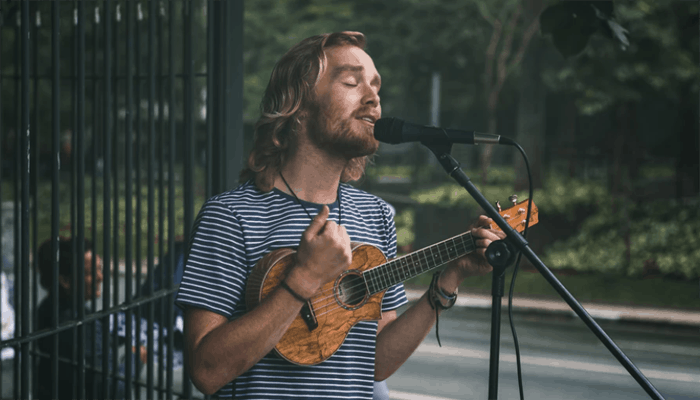 Sometimes when we are on holiday, relaxing or new people we often wish we had a guitar to pick up and play, but the logistics of carrying a cherished instrument into unknown territory presents us with a tonne of factors to consider. The places we travel to and the manner in which we travel play a huge part in how much your instrument will need to be capable of enduring. Traveling with a guitar puts it at risk of damage, exposes it to the elements and you also have to face the fact that it could wind up lost altogether. That's if it doesn't cost an arm and a leg to cover the excess baggage weight charges. So how do manufacturers cater to combat all of the above? Often their dimensions will be much smaller to make them more portable, so you may not have as many frets as you are familiar with. They will also source lighter tonewoods to begin with. They not only shrink the body sizes down but in some cases, the shapes of the solid bodies are changed entirely. Occasionally to a point where they hardly resemble a guitar at all, squares, circles and triangles have all been seen sporting a traditional guitar neck. All in the effort to downsize the weight and footprint dramatically. Other ways they might have made the product suitable for journeying with include increased durability and reduced production costs for a less expensive price-tag. Let's face it no one wants to invest too heavily in an instrument that is going to have to be able to handle a few hard knocks on its travels. 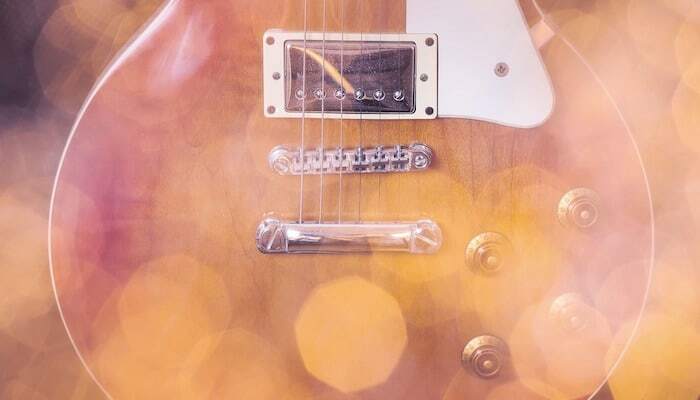 Some electric travel guitar options are actually semi-acoustic or electric-acoustic options which still have a hollow body, rather than the solid body we generally associate with electric guitars. You will probably find they are ¾ sized or shorter scaled and typically won't have as much of depth, so as to take up less space. A smaller bodied guitar, unfortunately, resonates less than a roomier model, so travel models for some are close but no cigar, as far as sound superiority goes. Many manufacturers enhance designs to really make the most of the instrument, and constant developmental refinements mean we are actually seeing some awesome travel-worthy electric guitars. If quality is key you may need to think about amping up your allocated budget we love the seductive Strobel Rambler travel models, which are conveniently designed to fit inside a suitcase. They are exceptionally well built and come in a variety of pretty jaw-dropping designs. These condensed bodies are almost flying V-shaped and their in-body integrated Tune-o-matic hardware is tidily arranged inside of its angular curves. Unfortunately, we are not in the position to give a definitive answer, as what you can and cannot fly with is always down to individual operators and their policies and regulations will differ from provider to provider. Next, you have to consider the countries you are traveling from and to and their rules too. There are some airlines which actually allow a guitar as hand luggage, so long as it isn't over the size or weight limitations of the company. So long as the luggage restrictions don't specify "No Instruments" you should be completely fine, though you will want to ensure it is sufficiently protected to travel in the hold. A good flight case would be a wise investment. 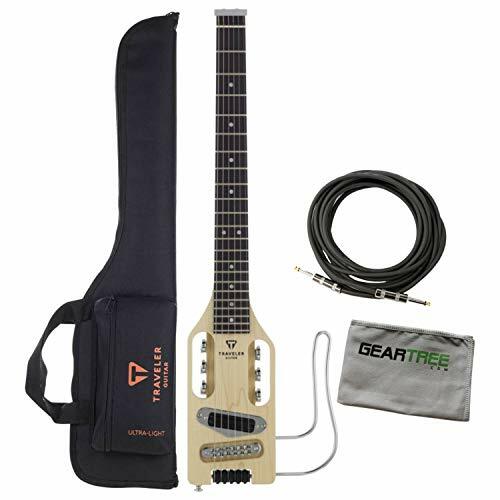 In an effort to keep up with the fast pace of our modern lives, and are always on the go nature, there is an abundance of travel guitar options out there to cater to your needs. When your shopping for a travel guitar, portability is essential and should come above all else. 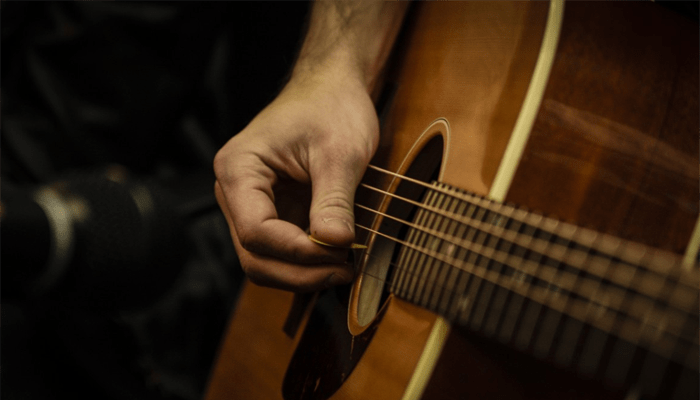 Unless you are a touring musician needing to tow a guitar about to perform with, then you don't really need to think about the sound as much as you do, its dimensions and durability. Travel guitars are at the end of the day built for weekend retreats, backpacking around Europe, open campfires and kicking back. The market is changing and manufacturers constantly adapting updating and improving to the point where we are seeing some phenomenally innovative and not to mention interesting design concepts. What to look for in the best travel guitar for you is really down to how you intend to get about. If you intend to lug it about for a long period of time you will obviously want the smallest and lightest you can find. If it is to be kept in a boot to have at hand you might not need to be so fussy. Consider your needs carefully, keep our buyers guide advice in mind, re-read today's reviews and you should find choosing a model a doddle. If you do buy a travel electric guitar, you are going to need an amplifier which is easily portable to go with it we suggest looking at some of these little beauts in our 5 Best Small Tube Amps article. Snap-Dragon make some awesome fold-able electric guitars with necks that simply snap into place to shred with and snap back to a smaller footprint to pack away again.